Thought to be the father of modern witchcraft, Gerald Gardner published The Meaning of Witchcraft in 1959, not long after laws punishing witches were repealed. 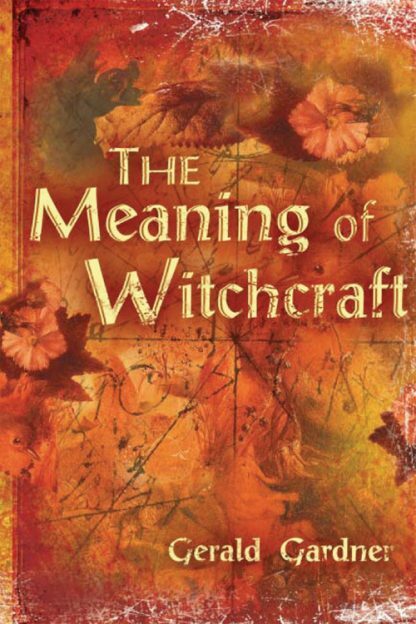 It was the first sympathetic book written from the point of view of a practicing witch. "The meaning ofwitchcraft is to be found, not in strange religious theories about God and Satan, but in the deepest levels of the human mind, the collective unconscious, and the earliest developments of human society. It is the deepness of the roots that has preserved the tree." The Meaning of Witchcraft is a record of witches' roots-and a tribute to a founding pioneer with the courage to set that record straight.